The Google Images button will provide a convenient method of inserting images found in the Google Images repository; without ever leaving the content editor. The Google Images button in the content editor toolbar area. Clicking the Google Images button will open a window where the initial search takes place. 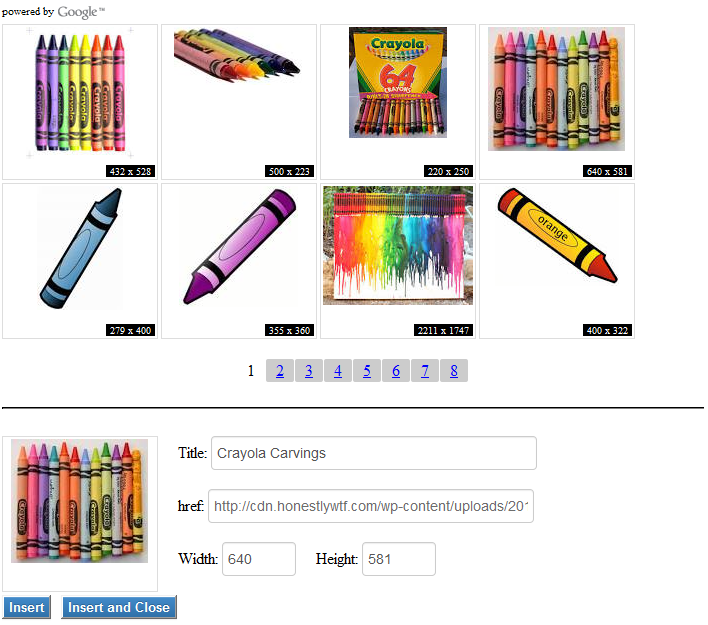 There are multiple filters which can be used to further customize a search query. After searching; the results will be displayed just below the search bar. The Google Images API limits searches to displaying only sixty-four (64) image results. 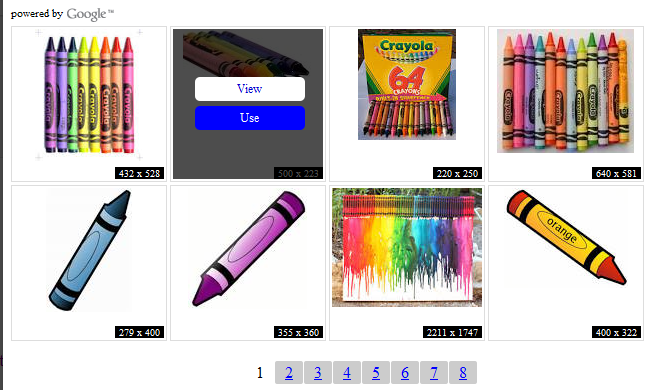 The results are displayed in a paged set; with eight (8) images per page. Clicking each page number (1 through 8) will load new images. Additionally, the image size dimensions can be seen in the lower-right corner of each image. When hovering over an image; two additional options (buttons) will appear. The “View” button will open the image in a new browser window where it can be visually inspected. 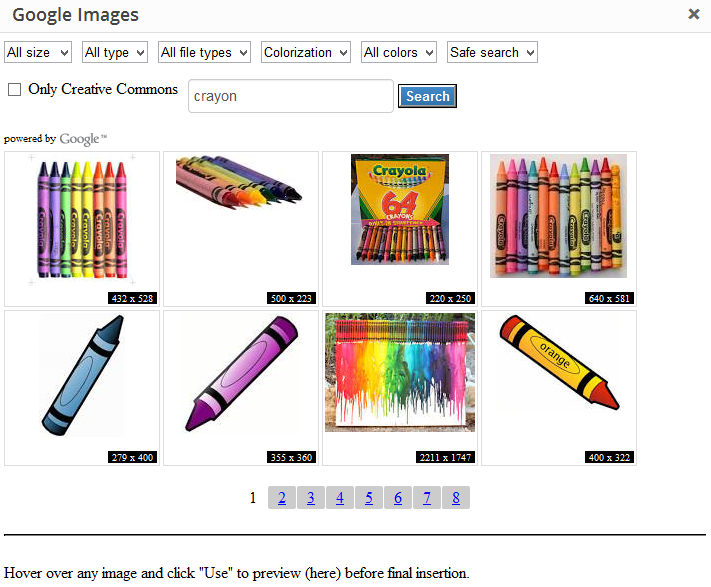 The “Use” button will load a preview of the image and relevant information into the section below the image results. Image Title – The title of the image will be whatever title was used by the image author. This title can be changed before being inserted into the content editor. Image Width – The width of the original image can be adjusted before final insertion. Image Height – The height of the original image can be adjusted before final insertion. * The image href value is displayed for information purposes only. This value cannot be adjusted. * If the image width and/or height are altered; the image tag will be inserted with these new values defined as image tag attributes. Once the final settings have been applied; click “Insert” to insert the image into the content editor and leave the Google Images window open. Or, click “Insert and Close” to insert the image into the content editor and close the overlay window. This entry was posted in Buttons.